Download the RNB6000 technical catelog in PDF. 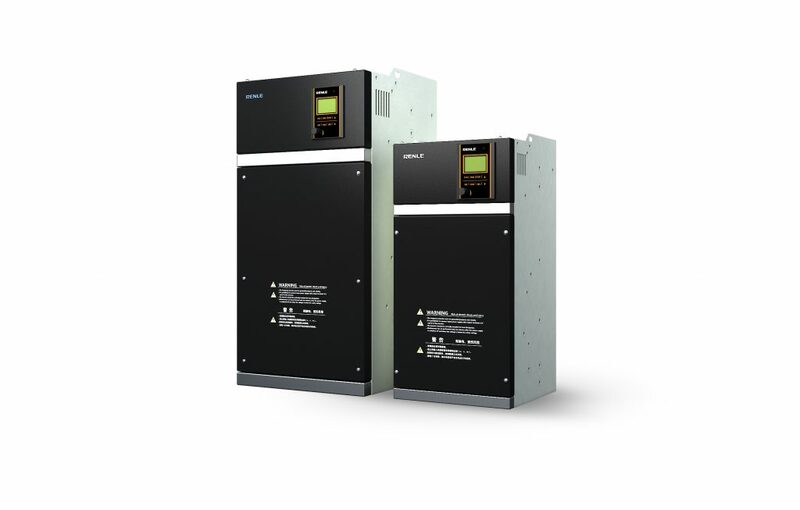 RNB6000 was the first frequency inverter of RENLE. Newest space vector technology. Excellent vector algorithm guarantees the big torque for low frequency in premise of lowest switch loss. High efficiency power voltage availability and optimized sine wave output will reduce its working noise and heat of motor. Unique software dead-zone compensation. Dead-zone time is the cause of low frequency pulsation torque. RNB6000 unique software dead-zone compensation guarantees stable torque characteristics with low frequency and extremely low speed. Excellent speed tracking self-starting without speed sensor. Start the running motor to guarantee the user's equipment to keep stable running. RNB6000 can automatically recognize the speed to realize stable speed tracking. Automatic energy saving running. Unique software power factor regulation which will regulate the power factor dynamically according to the change of load so as to save much energy. Voltage fluctuation control. Automatic voltage control(AVC) could guarantee the output voltage vibration is with ±5% when the input voltage vibration is within ± 20%. Complete protection function. Over-voltage, over-current, under-voltage, IGBT short-circuit, inverse time limit overload protecting design. And it can realize safe protection under short-circuit load and grounding. DC power supply. Save the power supply investment. Built-in flexible PWM energy consumption braking. The user selects the suitable braking resistor to realize energy consumption braking conveniently. Friendly HMI and flexible input & output interface port. LCD Chinese-English display, supply 7 routines digital input, 2 routines analog output, 3 routines digital output, and multi-speed programmable running. Intelligent temperature detection and fan management.